After we have left Poros, Perdika was our designated lunch stop. 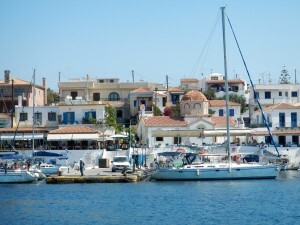 Perdika (“Partridge”) is a fishing village at the south end of Aegina Island’s west coast with a small and narrow harbour which only have room for a few yachts. 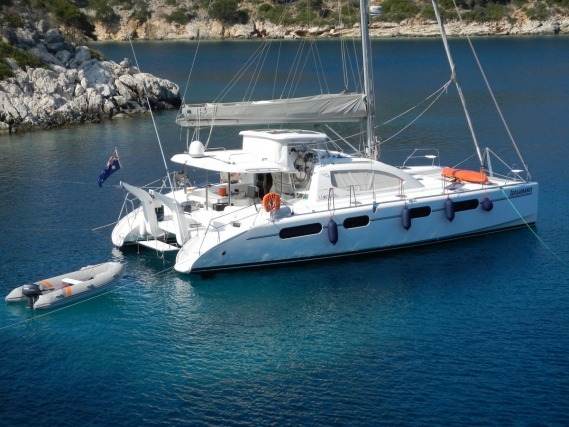 We were lucky to find just enough space to anchor for a few hours. Judging it from a distance we thought it to be an interesting little place (I love the small fishing villages without the typical tourist shops) , but instead of going ashore, we opted to snorkel/ swim for most of the time we were there before we left to anchor for the night at Aegina in pretty windy conditions and a choppy anchorage! It almost feel as if we are anchored halfway in mid ocean!- probably because it is not quite a bay, but still on the lee side of the island and good enough water to anchor in. 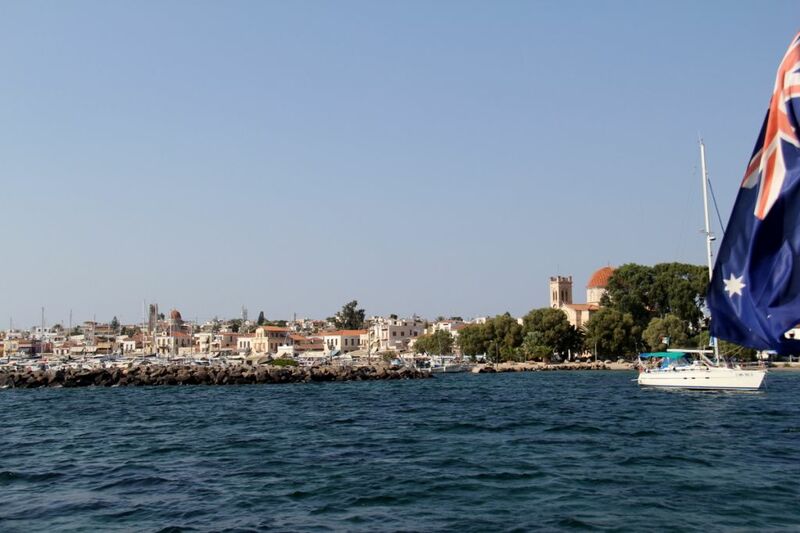 Aegina is another one of the Saronic Islands ( others major ones are Poros, Hydra and Spetses ) about 27 km from Athens which makes it the closet island to Athens. 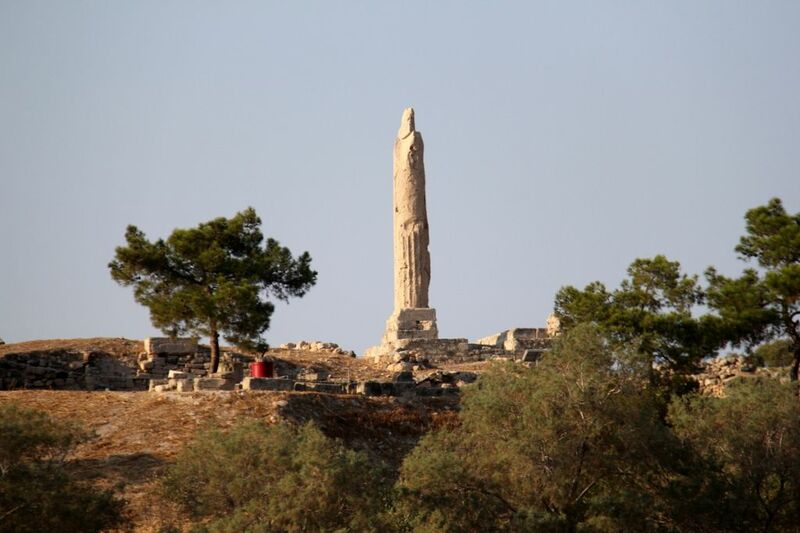 One of the best ruins, the Temple of Apollo, overlooking the bay, is a five-minute walk from the port at Aegina. Johann took the dinghy around to have a look at it from the sea side. Although we have been to Aegina twice in 6 days, we just did not get to do the walk to the temple. I think we had an overdose of ancient Temples after Athens (the second time we were in Aegina) and it would not be a patch on what we have seen there! 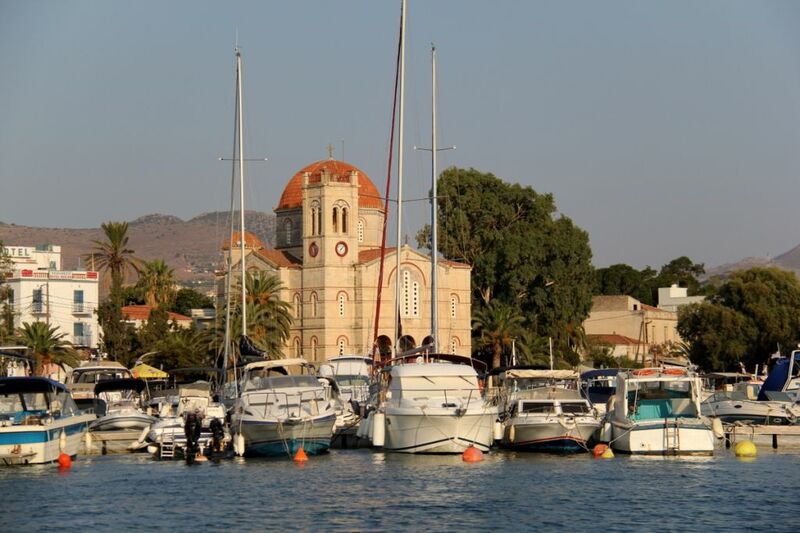 A big modern Orthodox Church, Agios Nikolaos would be the first landmark of Aegina town as you come around the island from the western side. It is beautiful inside with amazing carved woodwork and furniture. Agios Nikolaos -it is considered the protector saint of sailors. The Paleochora (Old Town) of Aegina (! 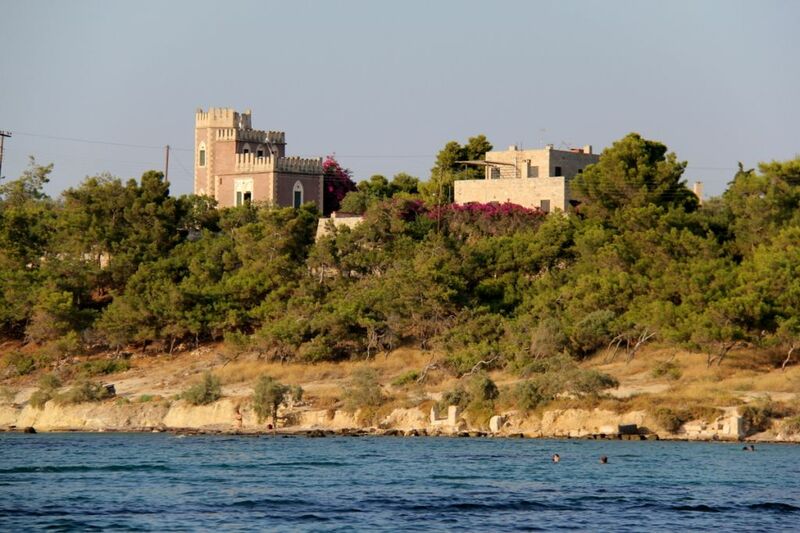 This is where the island’s population retreated from pirates for several hundred years) is wonderful to walk through. 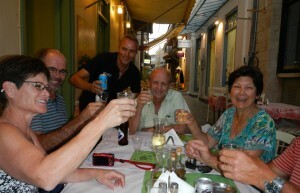 We were astound by the wonderful shops and tavernas in the small alleyways! We found that meals would be almost half the price of what you would pay on the promenade. The restaurants are often too fancy to even serve our favourite house wine in a carafe and of cause the price of a bottle wine is just about 4 times more expensive. The guests of Scolamanzi with the witty waiter! 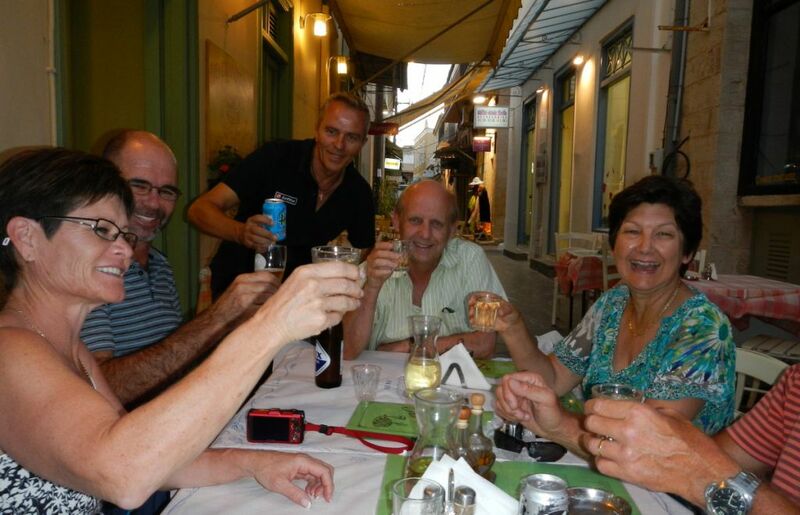 It is here in one of the Old Towns alleyways where we had dinner with Ben and Dianne Zietsman and Hendri and Dianne Wicht after we have left Athens. That dinner became the benchmark price for a meal for 6 people, two entrées each (the portions are very generous) and wine for all 6 of us for only €64 ! Needless to say, we struggled to stay off the promenades on most of the islands and never had such a great meal for so little money again. 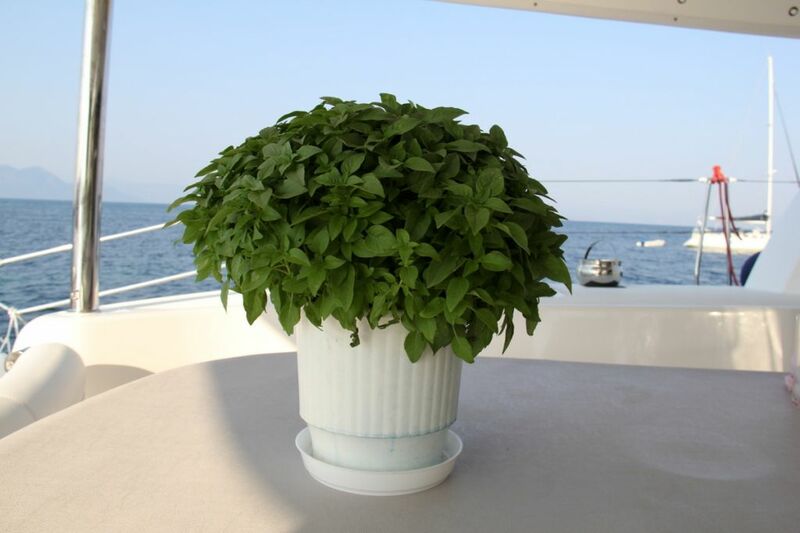 After the deterioration and recent death of my first basil plant (diagnosed with root-bound…but it lasted a good 8 weeks all the way from Croatia), Johann has decided that is time for me to replace it. It was here in Aegina that I found my lovely new basil friend (now called Little Basilica) – it is a miniature type, with small leaves and forms a very dense round head and looks gorgeous as decoration too! (That would be the closest I would get to a “pet”… hence the name … and yes I do talk to LB when no one is around!) I absolutely adore basil(as a herb and not a pet), and having such wonderful sweet tomatoes around Greece, it often is my only trimming and flavour added to a tomato salad. 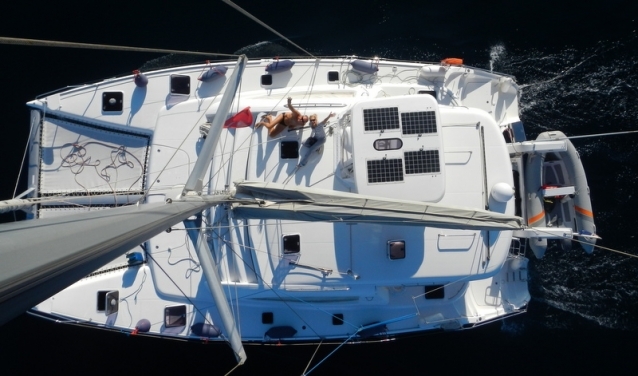 What a wonderful brainwave it was from Johann (the first time round in Aegina) to ask Annemie (my sister) to join us in Aegina (its between 30 and 45 min from Piraeus – depending on which ferry you take), spend the day and sail back to Athens with us. She was at that stage still in Athens and about to leave for South Africa the next morning. It was great to have her back even though it was only for half a day! 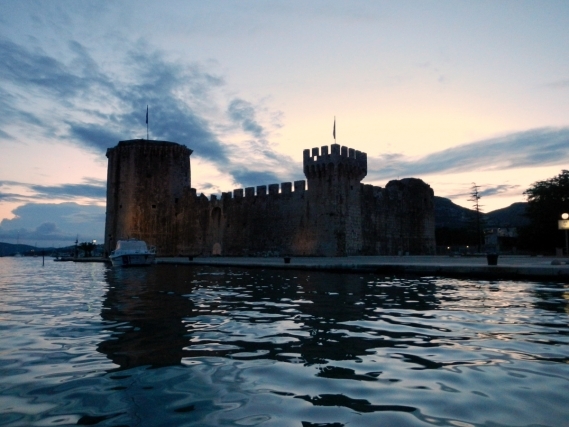 We could not wait to have a nice glass of wine at one of the beautiful restaurants on the promenade, stroll through the shops and snorkel together one more time and just to spend another last few hours together. It will be another 5 months before we will meet again in Namibia. I really miss the family! 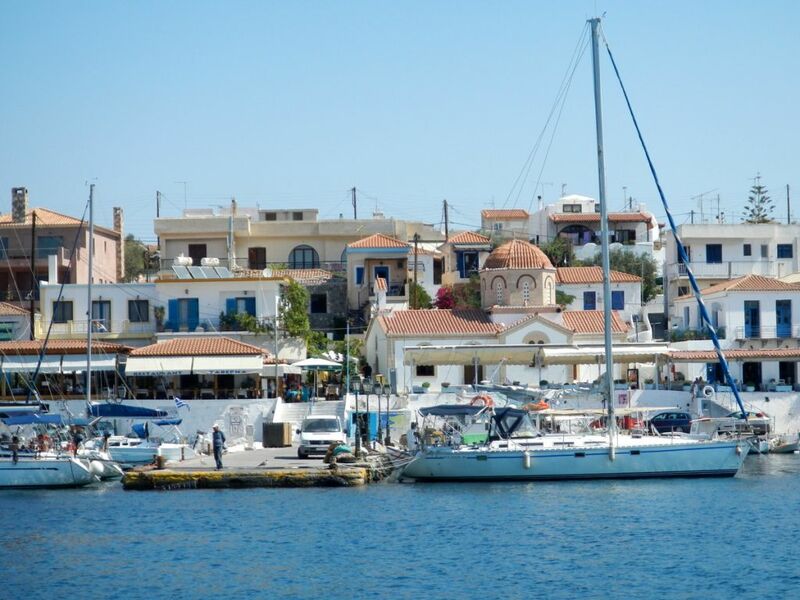 Aegina is the pistachio island of Greece! We could not resist the enormous variety of pistachio products in the shops! (And they make you taste them all!! It became wonderful taste bud experience pretending in every next shop you have no idea what it tastes like!! 🙂 ) The best of all would be the caramel pistachio candy! So additive!! And of cause … the freshly roasted and salted pistachios! To die for! When you ever get to Aegina, stock up on everything pistachio – you will not find such fresh ones on the next island! Ask me … I know! Thank goodness we had to go back one more time – this time I made sure to stock up big time! Previous PostHydra – where tranquillity takes one to a totally different levelNext PostAthens …from ugly duckling to a beautiful swan! visit this blog on regular basis to take updated from latest news update.